The Fall Instagram Challenge is here! 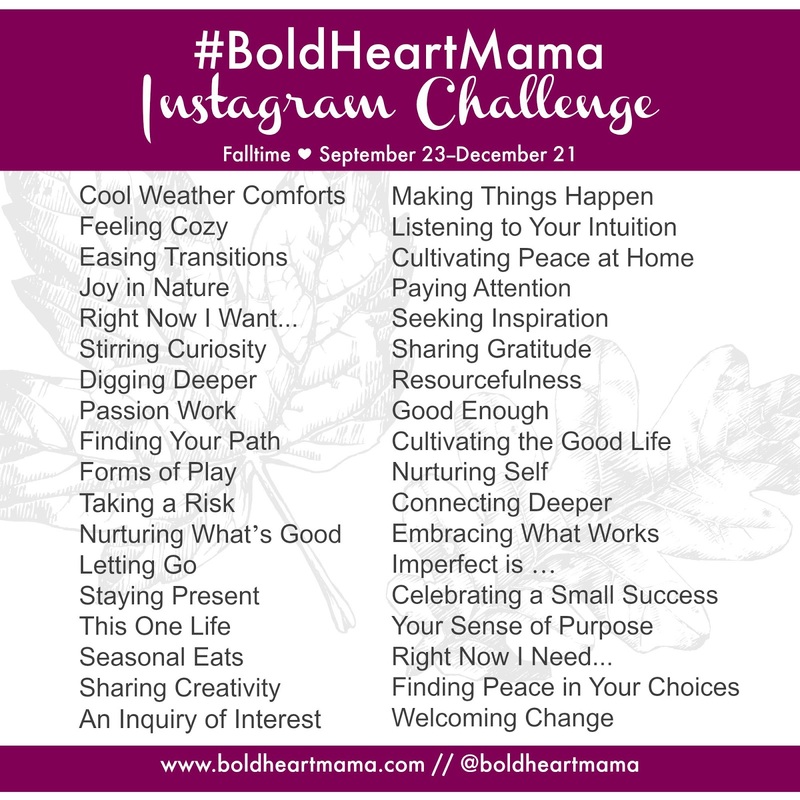 Hashtag #BoldHeartMama. It lasts all season, just grab a prompt and join in whenever you feel inspired. No worries to participate every day. You can find me @boldheartmama.